Fruits of the tucum palm. It goes without saying that effective seed (and spore) dispersal is vital for thriving plant populations. Without it, plant populations will stagnate and disappear. Whereas we know quite a bit about the role animals like birds, bats, and ants play in this process, there is another group of seed dispersers that are proving to be vital to the long-term health and survival of tropical forests around the globe - fish. The idea of seed dispersing fish may come as a shock to some but mounting evidence is showing that fruit-eating fish play a major role in the reproductive cycle of many tropical plant species. This is especially true in seasonally flooded tropical forests. To date, more than 100 different fish species have been found with viable seeds in their guts. 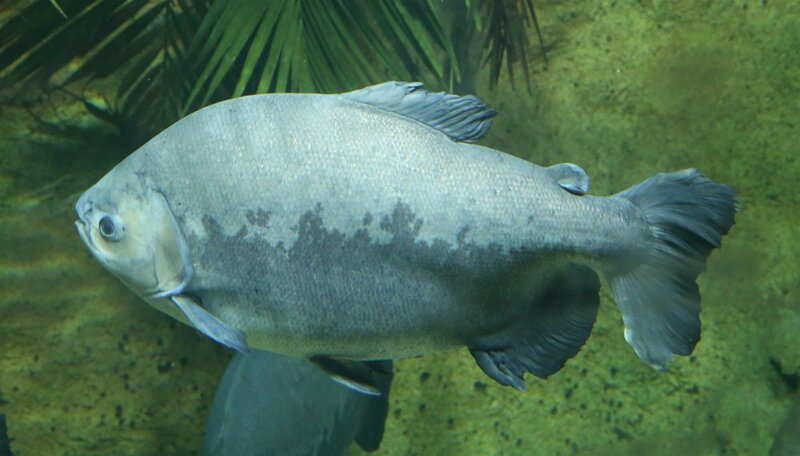 In fact, some fish species, such as the pacu (Piaractus mesopotamicus), specialize on eating fruits. A big ol' pacu looking for its next fruit meal. By monitoring how fruit-eating fish like the pacu behave in their environment, scientists are painting a picture of tropical seed dispersal that is quite remarkable. Take, for instance, the tucum palm (Bactris glaucescens). Native to Brazil's Pantanal, this palm produces large, red fruits and everything from peccaries to iguanas will consume them. However, when eaten by these animals, the seed either don't make it through the gut in one piece or they end up being pooped out into areas unsuitable for germination. Only when the seeds have been consumed by the pacu do they end up in the right place in the right condition. It appears that pacus are the main seed dispersal agent for this palm. A beautiful tucum palm in the dry season. The tucum palm isn't alone either. The seeds of myriad other plant species known to inhabit such seasonally flooded habitats seem to germinate and grow most effectively only after having been dispersed by fish. Pacus are also responsible for a considerable amount of seed dispersal for plants such as Tocoyena formosa (Rubiaceae), Licania parvifolia (Chrysobalanaceae), and Inga uruguensis (Fabaceae). 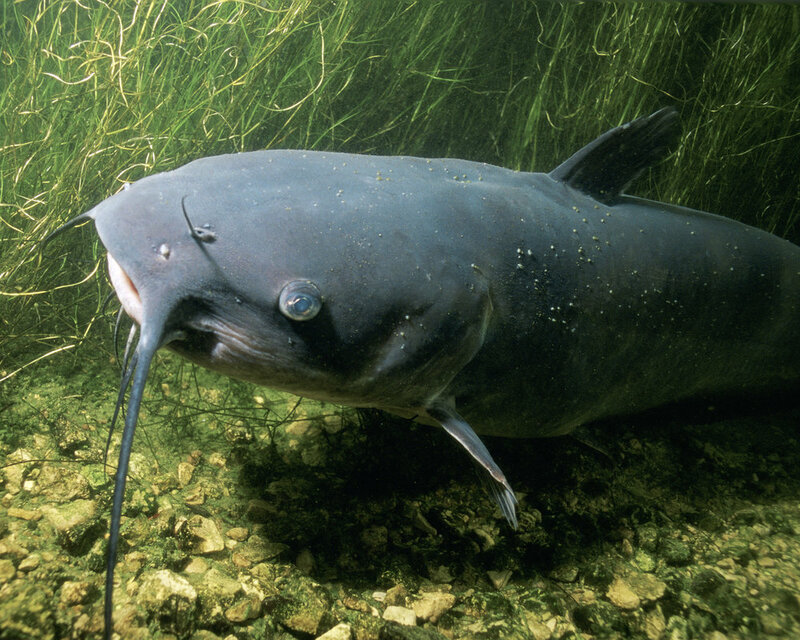 Even outside of the tropics, fish like the channel catfish (Ictalurus punctatus) are being found to be important seed dispersers of riparian plants such as the eastern swampprivet (Forestiera acuminata). Without fish, these plants would have a hard time with seed dispersal in such seasonally flooded habitats. Lacking a dispersal agent, these seeds would be stuck at the bottom of a river, buried in anoxic mud. As fish migrate into flooded forests, they can move seeds remarkable distances from their parents. When the flood waters recede, the seeds find themselves primed and ready to usher in the next generation. Fruits of the Camu-camu (Myrciaria dubia) also benefit from dispersal by fish. Not all fish perform this task equally as well. Even within a species, there are differences in the effectiveness of seed dispersal services. Scientists are finding that large fish are most effective at proper seed dispersal. Not only can they consume whole fruits with little to no issue, they are also the fish that are most physically capable of moving large distances. Sadly, humans are seriously disrupting this process in a lot of ways. For starters, dams and other impediments are cutting off the migratory routs of many fish species. Large fish are no longer able to make it into flooded regions of forest far upstream once a dam is in place. What's more, dams keep large tracts of forest from flooding entirely. As such, fish are no longer able to migrate into these regions, which means less seeds are making it there as well. This is bad news for forest regeneration. "Gimme fruit" says local channel cat. It's not just dams hurting fish either. Over-fishing is a serious issue in most water ways. Pacus, for instance, have seen precipitous declines throughout the Amazon over the last few decades. Specifically targeted are large fish. Unfortunately, regulations that were put into place in order to help these fish may actually be harming their seed dispersal activities. Fish under a certain size must be released from any catch, thus a disproportionate amount of large fish are being removed from the system. Logging is taking a serious toll as well. Floodplain forests have been hit especially hard by logging, both legal and illegal. The lower Amazon River, for example, has almost no natural floodplain forests left. Reports from fish markets in these areas have shown fewer and fewer frugivorous fish each year. It would appear that large fruit-eating fish are disappearing in the areas that need seed dispersal the most. It is clear that something drastic needs to happen. At the very least, fruit-eating fish need more recognition for the ecosystem services they provide. Forest health and management is a holistic endeavor. We cannot think of organisms in isolation. This is why ecological literacy is so important. We are only now starting to realize the role of large fish in forest regeneration and who knows what kinds of discoveries are just over the horizon. This is why land conservation efforts are so important. We must move to protect wild spaces before they are lost for good. Please consider donating to one of the many great land conservancy agencies around the globe.